Latest News on the Lunas by-election 1,400 voters, known supporters of the opposition Barisan Alternatif (BA), are missing from the electoral roll. All the 12 BA operations centers in Lunas have reported that voters who came to check their names have found their names no longer in the electoral roll. According to Husin Haroon, the assistant secretary of the BA Taman Putra operations center at Jalan Kelang Lama, "All 12 of our operations centers have reported missing voters. The total, so far, that we have found is 1,400 names. We feel that there are more names missing but we will not know until election day as not all the voters have come to check their names. Some will just assume that their names are still in the electoral roll and go to vote on Wednesday just to find their names missing." "I have been voting in Lunas for the last three elections, including the recent Tenth General Election in November 1999," said one voter, Redzuan Ismail, who came with his wife, Noor Mala Mat, to check their names. Both their names were missing. (Their identity card numbers are 611231-07-5409 and 630616-08-6268 respectively). The BA operations center at Sungai Limau reported that, so far, they have found about 200 names missing. "And these are only the ones we know about," said the operations center secretary. "We do not know the real extent of the missing names as not all voters come to check their names beforehand." A bigger mystery is the 6,000 new voters who are all registered in a certain "squatter settlement" that does not exist. "We have gone to check the so-called squatter settlement where these 6,000 people are supposed to be living in but we cannot find the place," said Ruslan Kasim, the Information Chief of the National Justice Party. "The place does not exist, it is a phantom settlement. I suppose this is what they mean by phantom voters," added Ruslan Kasim. 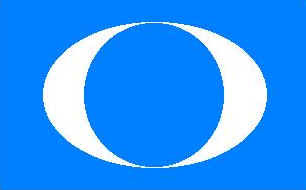 "Barisan Nasional (BN) must realise that they have a tough time winning this by-election," said Ruslan Kasim. "So they are trying to resort to cheating to secure the Lunas seat. If BN wins by 4,000 to 5,000 votes this would explain how they did it. They cheated." Dr Xavier, a Supreme Council Member of the National Justice Party had this to say, "I have just received information that there are 1,600 Indian voters registered in a certain area that does not appear in our records. We are currently conducting an investigation to determine whether this is so. If it is so it can only mean these are phantom voters."